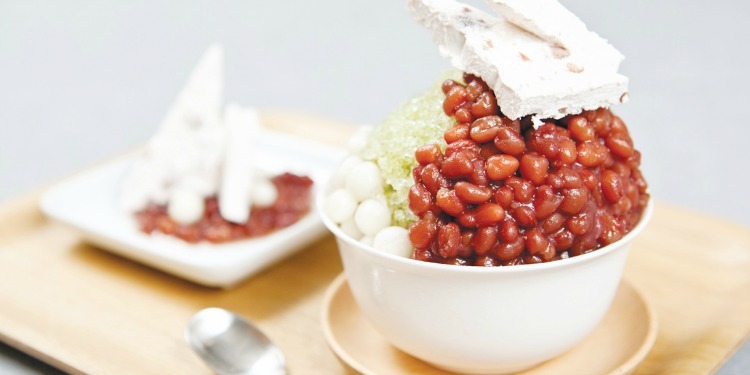 On the outskirts of Chinatown you’ll find Sydney’s brand new The Dessert Kitchen, a Hong-Kong-originating dessert chain that is big on ideas, and low on the sugar and fat content. Kyoho grape seaweed balls, grape shaved ice, mini rice balls, grapes, Taro Michi ice cream. Honeydew melon, mango, white peach sauce, kanten, mini rice balls. The translucent noodles don’t look like dessert at all- but don’t be fooled! Mango, peach, peach syrup, mango, coconut juice, lychee, seaweed balls. The cutest warm drinks we ever did see! The kitty caramel latte and the polar bear HongKong style milk tea look as amazing as they taste. Children will adore them. Green tea shaved ice, red bean, mini rice balls, red bean vanilla ice cream. Red beans in a dessert? It’s true. It was up to Aussie interior designer Matt Woods to make the inside of The Dessert Kitchen as yummy as the menu. 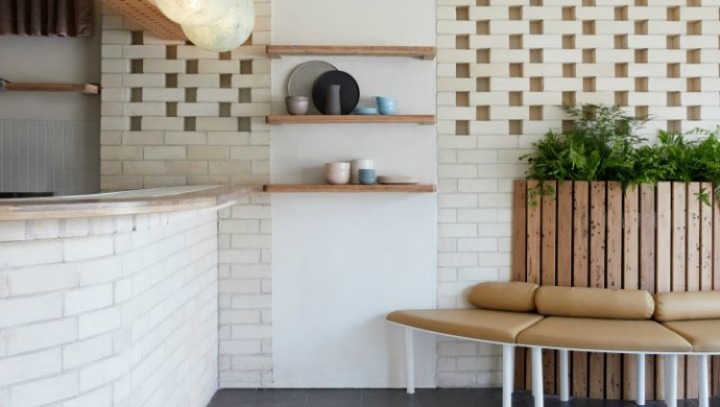 According to Retail Design Blog, Woods has used a “minimal and nature-led interior” for the Sydney store, which goes hand-in-hand with the idea of health-conscious desserts. Diners will find themselves nestled in a “calming oasis” of plenty soft Tasmanian oak. The colour palette is soft and neutral, not at all like the eye-assaulting primary colours and heavily-themed decor of most franchises and dessert bars. It seems that what’s on the inside, as well as the startling menu at The Dessert Kitchen is what sets it apart from so many Sydney cafes. The Dessert Kitchen has over 30 stores worldwide. Is it time to treat the kids? You can find The Dessert Kitchen at 1/78 Harbour St, Haymarket, or give them a like on Facebook.